In our latest post, we explained which are the new features of the new Alfresco version. One of them was easying the customization of Spring Surf and Alfresco Share components. In this blog post we will explain which is the best way to extend and customize the Share UI components and pages. 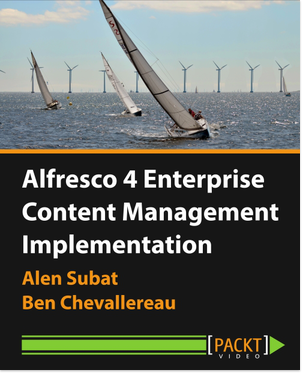 As you will know Alfresco Share has been built using the Spring Surf technology, which Alfresco contributed it originally to the Spring community. Being a Spring based application, Alfresco Share has context configuration files which indicates the application the file system directories in where to look for other files and the order in which they are processed. The file to look at is surf-config.xml located in WEB-INF/classes. See an example below. The way this file is processed is from top to bottom, the referenced files in the bottom of the list override the configuration of the referenced files up in the list if there is a match in the Spring bean ID. Note that the paths are relatives to the classpath and the asterisk (*) character is used as a wildcard when matching file names. So for instance, the classpath*:alfresco/web-extension/*-context.xml will process any files located in the alfresco/web-extension within the classpath which files' names end in "-context.xml. Same as before it goes from top to bottom. Just to comment that the jar: placeholder refers to JAR files in the classpath. The web-extension folder located either on the shared directory or in WEB-INF/classes/alfresco is where all the custom server side files should go, such as configuration files, webscripts, templates, page definitions, etc. If you aim to override an existing file, you just need to create the same folder hierarchy inside the web-extension folder and overwrite the whole file you want to change. This is how a Alfresco Share project should look like. Custom spring beans will be configured in custom-slingshot-application-context.xml file (a sample file is provided with the Maven artifact). On the other hand, the User Interface configurations will be done in share-config-custom.xml. These configurations will overwrite any default configuration that match them. 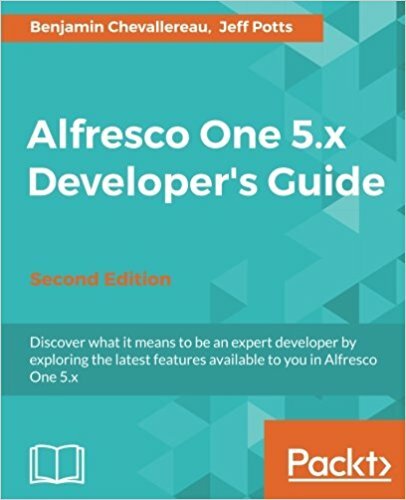 One thing a developer needs to know about Alfresco Share is how the main components in it are built. There are 2 major components in Alfresco Share: pages and dashlets. Freemarker templating engine is used to render them. Pages are templates backed by webscripts to make them dynamic pages. Each webscript is a different component of the page. Let's analyze the document list page for instance. You can see the different components backed by webscripts in the screenshot above. Each component is marked in the template with the <@region /> tag given an ID and mapped to a webscript in the configuration files. There will be Alfresco and Share Extensions going on, all related to one topic I'm still thinking about and will be available in my GitHub account. Note that this project is currently a skeleton. I will be pushing code as moving forward with the blog post.